The Lamron, 2/21/13: Students attend national climate change rally in D.C. The Cornell Daily Sun, 2/19/13: Cornell Students Join Tens of Thousands of Protesters in Environmental Rally in D.C.
Cornell Daily Sun, 11/19/12: Op-Ed: Any Person, Any Profit? 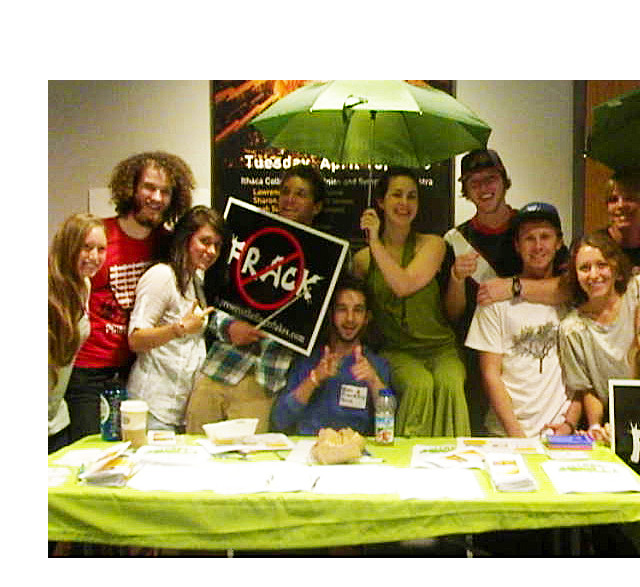 The Skidmore News, 11/19/11: Opinion- What’s the fracking fuss? The Hometown Weekly, 9/14/11: Skidmore Activists protest against tar sands in D.C.
Have a news story to share about actions in your campus or community? E-mail nygreenumbrella@gmail.com to post them!